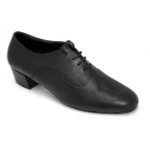 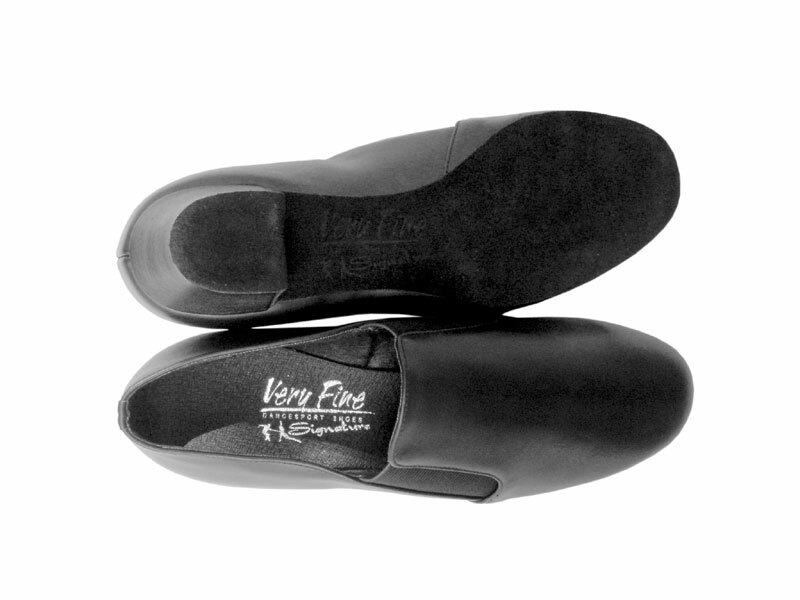 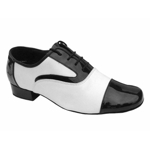 VF-S805-L100-15 Slip-On Dance Shoe Black Leather from Very Fine. 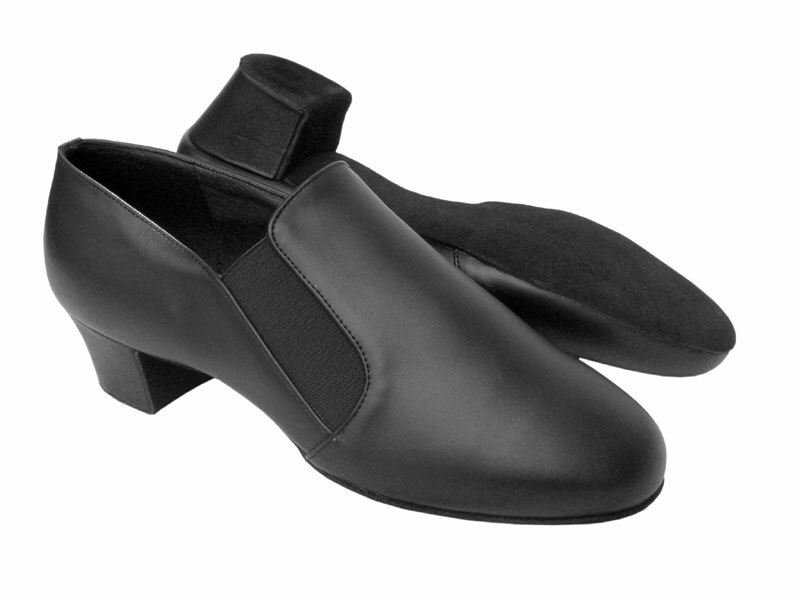 Heel: 1.5" Cuban, matching Black Leather covered and with sueded leather toplift. 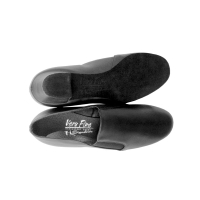 Sole: Professional ultra soft suede outer sole, black color. 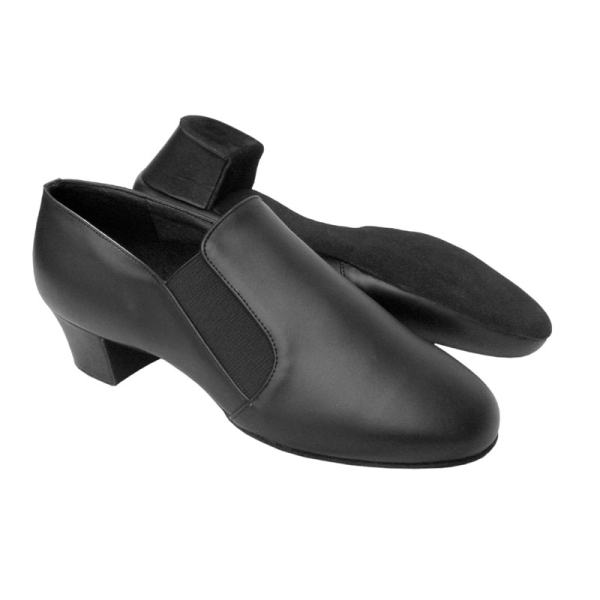 Slip on with elastic on both sides.